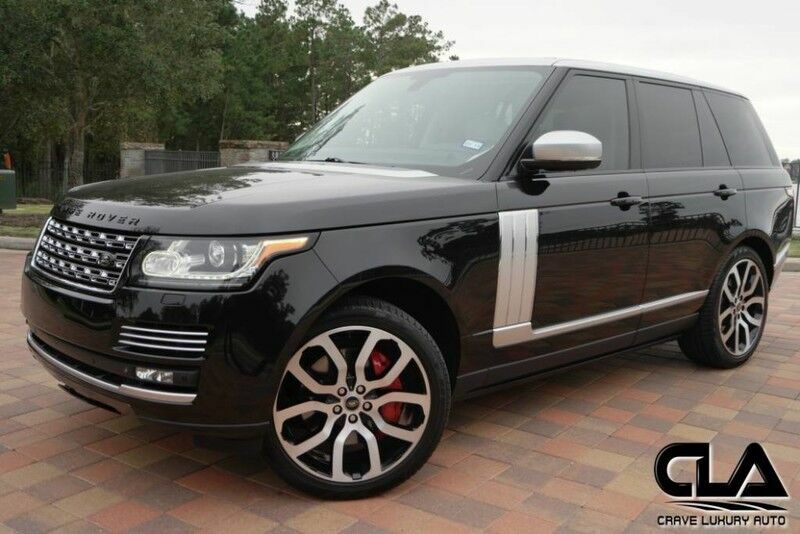 Client Advisor - This 2013 Range Rover HSE Supercharged only has 56,106 miles. Perfect for a daily driver SUV. This Clean Carfax, Non smoker Range Rover is in excellent condition! The Leather is in fantastic shape and is complete with both keys. Don't miss this opportunity to own this Range Rover HSE Supercharged! Original MSRP: $106,020 Options include: Premium Audio, Spare wheel, 22" Alloy wheels, Wood leather steering wheel, Front climate comfort package, Hideaway license plate system, and many more custom options! This Land Rover like all previously owned vehicles here at CLA went through our own rigorous inspection process performed by our Master Technicians. Call to schedule your appointment today! Crave Luxury Auto is located Just north of Houston, Tx in The Woodlands. Our service center is just across the street from our showroom. Please call us with any questions you have in regard to this vehicle at 281-651-2101.